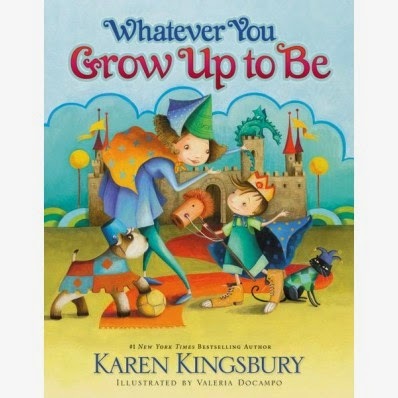 Whatever You Grow Up to Be, by New York Times bestselling author Karen Kingsbury, brings the mother-son relationship into new light, as a young boy discovers the unlimited possibilities God has for his life, while never forgetting the special bond he shares with his mother. “Ten little toes right from the start Make footprints on your mommy’s heart!” The timeless journey of a mother and son is poignantly captured in the story of a boy’s growth from childhood to fatherhood. 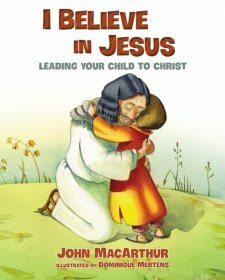 From birth to football games to college graduation, a mother reminds her son that life is filled with possibilities and that God has a plan for him---whatever he grows up to be! I am a fan of Karen Kingsbury! I reviewed her story, "Always Daddy's Princess" about a year ago and you can read that review HERE. Karen Kingsbury has a way of writing to make you envision your son or daughter doing each and everything in the story. As I read the story I become misty eyed and my heart strings are very emotional because as a mom we want to cherish each and every moment with our children. My son is still a little young to enjoy the book as much as my daughter enjoyed the "Daddy's Little Princess" story. I know he will enjoy it when he gets older. The pictures grabbed his attention very nice and he pointed to the football several times so I know he relates to that picture and as he gets older I know he will relate to more. One feature that I enjoy is the Bible verses that are included on each page that fit right in with the story! 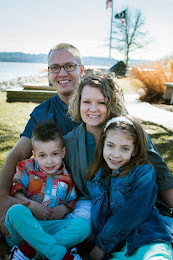 They remind me how blessed I am to be a parent and the verses also help encourage mothers. This book was released in February so pick up your copy today from Zondervan. I was provided a free copy of this book in exchange for an honest review. All opinions are 100% mine and I was not paid for this review.